Legal Aid rates for interpreters were first introduced together with rates for most types of experts by the Legal Aid Agency (LAA) in The Civil Legal Aid (Remuneration) Regulations 2013 and the Criminal Legal Aid (Remuneration) Regulations 2013. Since then, the Guidance on the Remuneration of Expert Witnesses has been updated a few more times and the latest version – Version 4 was published in April 2015. 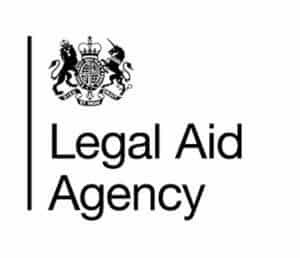 The Legal Aid Agency is an executive body of the Ministry of Justice in the United Kingdom which provides both civil and criminal legal aid and advice in England and Wales. Legal Aid rates apply in a case where a provision of assistance called The Legal Aid, has been granted by The Legal Aid Agency to a person who would otherwise not be able to afford legal representation and access to justice. In such cases, The Legal Aid Agency will only pay fees or rates which are not in excess of those listed in the Remuneration Regulations unless they consider it reasonable in exceptional circumstances and had granted prior authority, which is a written approval, to exceed the fees or rates. Solicitors must always apply for prior authority where they seek to incur expert costs at higher rates than those set out in the Remuneration Regulations for that service. In all other cases, prior authority is not mandatory. However, it may be in their interest to submit a prior authority application whenever the item of costs is either unusual in nature or is unusually large. Because of that, in order to avoid any potential issues with the LAA funding, many solicitors often ask translators and interpreters to send them a written quote before officially confirming the use of their services. However, because professional interpreters often spend hours, even days away from their homes, this simple request can become fairly difficult to fulfil. Not having access to your office, PC and document templates can make even the easiest office tasks very difficult. Time is money and nobody likes to wait. We know how important it is to be fast. That is why we have created this free quote calculator using Legal Aid rates which makes it possible to create professionally looking written quotes in seconds. All you need is your telephone and access to the internet. Use this tool to generate a quote by filling in the details. The quote in pdf will then be emailed to you for you to forward it to your customer. Upgrade to Pro and we will personalise the calculator for you, make it super simple and replace our logo with your own logo! Are you based in London? Share this post, then leave a comment below. This is an excellent tool which my fellow interpreters and I will find extremely useful. It’s especially good for those who are unsure of how to write a quote or even what fee/rates to charge. The LA rates are a good starting point. Thank you Rekha, please share it with your fellow interpreters. You are right, many interpreters don’t know what rates to charge and that can often lead to unnecessary complications.